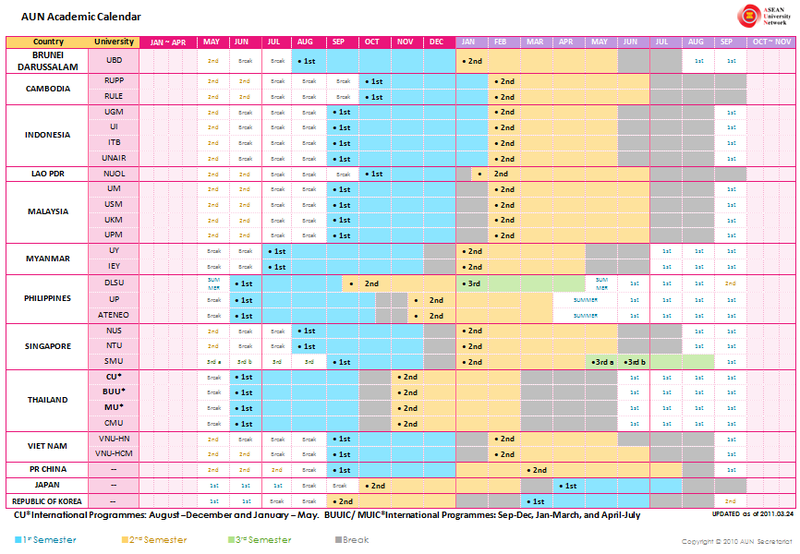 You can download the academic calendar here. Please apply at least by 3 months before the semester starts. To see the details of each university's academic calendar, click on the name of university in the list below.